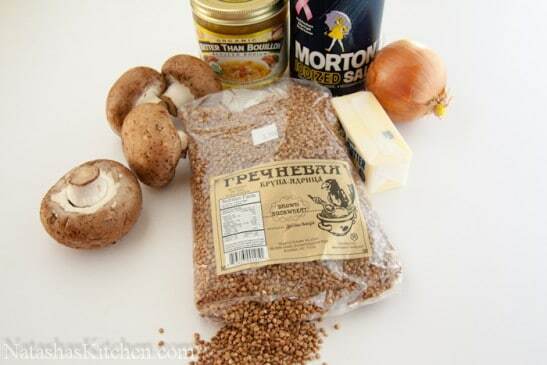 Buckwheat with Mushrooms + 3 Giveaways! I love buckwheat. Too bad it’s not well appreciated here in the U.S., but I hope it will catch on. 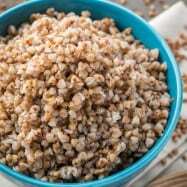 Buckwheat is crazy healthy; which makes me even happier that my son ate two bowls of this in one day! It’s a wonderful alternative to rice. 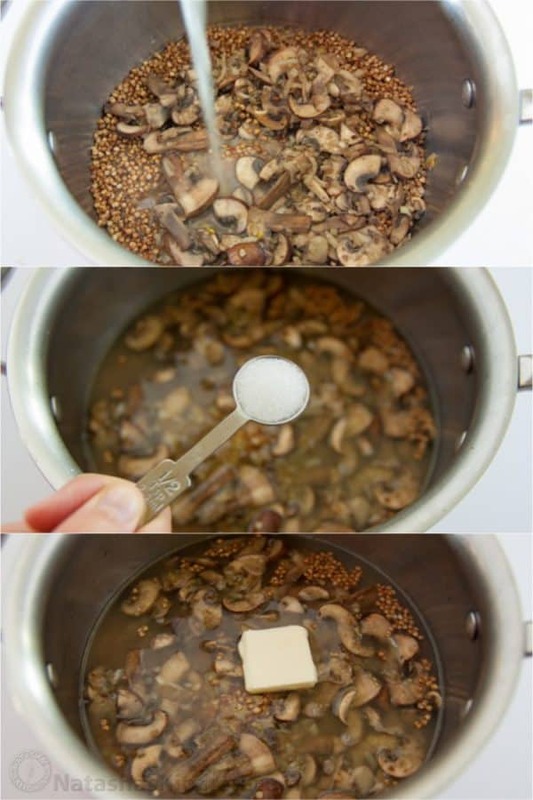 The combination of buckwheat with mushrooms, onion and broth is scrumptious. You’ll forget that it’s a side dish; chomping it down then realizing you’ve missed the chicken and carrots on your plate. Read on to find out more about the triple giveaway!! Woohoo! A note on buckwheat: I’ve never been disappointed with any brands from the local Russian store. Buckwheat that is already toasted is best, otherwise it can get a little mushy. If it’s not toasted, you can toast it yourself on a skillet for a few minutes which should help. 1. Chop mushrooms and finely dice onion. Rinse the buckwheat (get rid of that dust) and drain well. 2. Heat a large skillet over medium heat. Once it’s hot, add 1 tbsp olive oil. Add buckwheat and saute, stirring occasionally for 3-4 minutes. Transfer to a medium pot. 3. In the same skillet (no need to wash the pan; you’re welcome), Add 1 Tbsp oil. Add onions and Saute for 1-2 minutes. Add mushrooms and continue to saute until mushrooms are soft. Add your mix to the buckwheat and stir. 4. Pour your broth over the buckwheat mix. Stir in 1/2 tsp salt (add salt only if using reduced-sodium broth) and top with 1 Tbsp butter. Bring the pot to a boil then reduce heat to low. Close the pot with a tight fitting lid. Simmer for 15 minutes or until kernels are soft and fluffy. Remove from heat and let it stand covered for an additional 10 minutes. 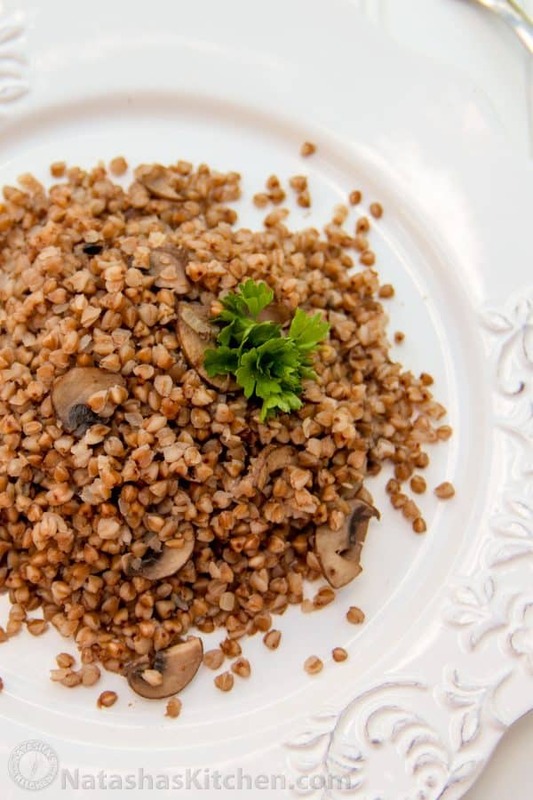 If you want to incorporate more buckwheat into your diet but don’t want to fuss with mushrooms and such, here’s the lazy-gal’s version (don’t judge me). In a bowl of a rice maker, add 1 cup rinsed buckwheat, 1.5 cups broth or water (instead of 2 cups water; rice makers are efficient like that), 1/2 tsp salt, 1-2 Tbsp butter on top. Close the lid and push the white rice button. About 15-20 minutes later you have perfect buckwheat. Chop mushrooms and finely dice onion. Rinse the buckwheat and drain well. Heat a large skillet over medium heat. Once it's hot, add 1 Tbsp olive oil. Add buckwheat and saute, stirring occasionally for 3-4 minutes. Transfer to a medium pot. In the same skillet, Add 1 tbsp oil. Add onions and Saute for 1-2 minutes. 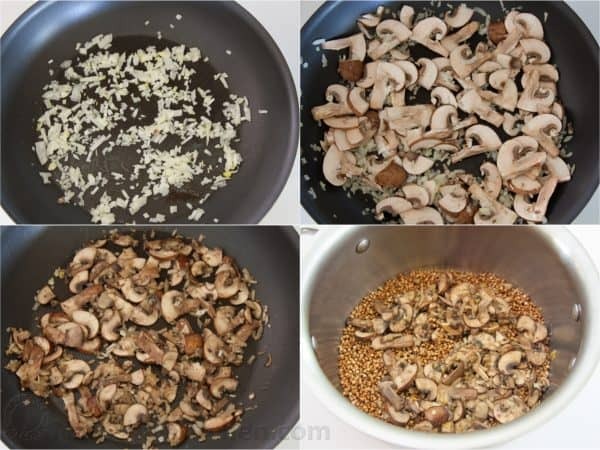 Add mushrooms and continue to saute until mushrooms are soft. Add your mix to the buckwheat and stir. Pour your broth over the buckwheat mix. Stir in 1/2 tsp salt and top with 1 Tbsp butter. Bring everything to a boil then reduce heat to low and cover with a tight fitting lid. Simmer for 15 minutes or until kernels are soft and fluffy. 6.Remove from heat and let it stand covered for an additional 10 minutes. If you want to incorporate more buckwheat into your diet but don't want to fuss with mushrooms and such, here's the lazy-gal's version (don't judge me). In a bowl of a rice maker, add 1 cup rinsed buckwheat, 1.5 cups broth or water (instead of 2 cups water; rice makers are efficient like that), 1/2 tsp salt, 1-2 tbsp butter on top. Close the lid and push the white rice button. 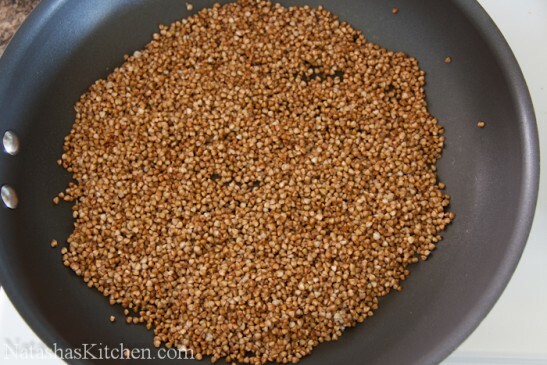 About 15-20 minutes later you have perfect buckwheat. Just curious. Why do you make plain buckwheat with 1 3/4 cups water to one cup buckwheat but in this recipe it’s with 2 cups of broth to one cup buckwheat? 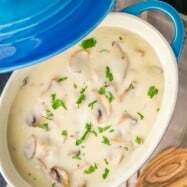 Could not find out how to write you directly..I wanted to share my dinner’s recipe of this evening..
100 gr grechka, washed a few times and them poured boiling water on top , left it aside to swell..
My husband does NOT like mushrooms whatsoever. I love them, but I have also learned to bypass them when preparing a meal or whatnot. Can you please be so kind as to possibly giving me an idea on what I can replace the mushrooms with? Same goes for other meals I seen on your site. They are delicious looking but I can never seem to figure out what I could replace them with. For instance, I made the Podlivka, and that too, requires mushrooms. So i just grabbed what was next to them in the grocery store: eggplant 🙂 It didn’t turn out bad at all… in fact, it was really yummy! I just want to see your input on this one. 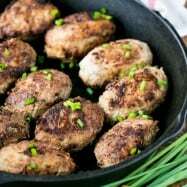 What would be the best mushroom replacement for the grechka??? Thank you!!! Pinned your Spartak recipe, my favorite cake! I’ve got to admit… I’ve never really liked buckwheat. Disliked it ever since I was a little girl. My mom couldnt get me to eat the stuff! But one day…. I was baby sitting for a friend, and she asked me to make it for her little girl. Since I’ve never made it before, I went onto your website to check for directions. I saw this recipe… Looked easy enough, so I made it. But boy, I wasnt expecting such a wonderful aroma of satueed oinions and mushrooms to hit me! It smelled so amazing, I simply couldnt resist a sample. lol. It was really good 🙂 Cant say that I’m a die-hard fan of buckwheat now, but at least now I can eat it. Occasionally. lol. 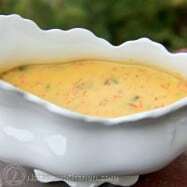 I use bouillon in making sauces, enhancing soups, enriching gravy. It is good to omake bouillon from scratch if lots of time, but oft time need something quik an ease. 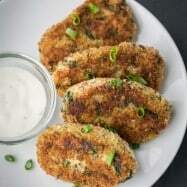 Love your website and am thrilled to see these delicious recipes. I have never tried Better than Bullion so far. That’s because I’m so…scared about everything is powdered….. I never know what’s in there. But, I’ll give it a try. I rely on yours and your commentators’ endorsement. I actually got introduced to it by you recommending it on your blog and I recommend to everyone and we even use it in church sometimes when we cook for large amount of people. Hey Natasha: Love your blog! I use broth (chicken mainly) in almost all recipes that call for adding “water” to the mix, not matter what it is. Broth provides so much more depth of flavor and richness. 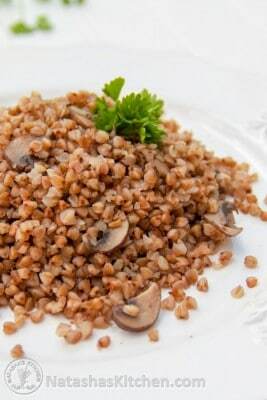 I love Buckwheat kasha…..my Mom made it the same like you do. At Christmas they would put it into cabbage rolls. 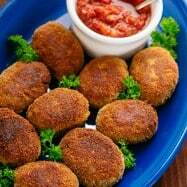 Thanks for posting these Ukrainian recipes……as I’ve never been there but am a full Ukie. 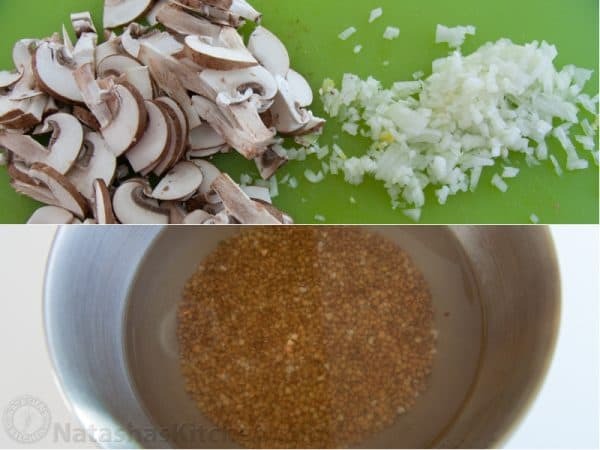 Pinned the mushroom gravy (my latest obsession from your blog) to pinterest. I always use bullion when making soups. Usually I use the russian cubes, but would love to try something else, especially organic. Membership but would love to try it.